If one of these bullet points best describes you, I have some good news. They’re all incredible choices, but unfortunately they all come at some kind of cost, and in no way direct way get you closer to building those pecs of steel. So may we suggest a fourth option? That’s right. Here is the number one solution to satisfy all your pec-passion needs with this: the number one guide on how to build chest muscles fast without weights. Whether you’re at home, in a hostel, or homeless – this the solution to a strong healthy chest without the aid of dumbbells or barbells. Once you’ve gathered all of this equipment, read on to get the specifics about each exercise. This is one of the most demanding exercises we’ll cover. It’s best to get it out of the way first. 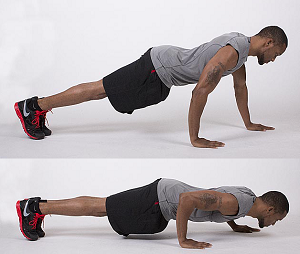 Start this push up like any other, use your hands and toes to hold your weight over the floor. Make sure your feet are spread shoulder width apart and that your body is ready. Take one foot off the ground and hover it like a mass-gaining magnet. You are ready to perform a push up. Easy? Well then, you’ll just have to spread your feet even wider apart. Once the pain has set in and that side of your chest is fried, swap foot, it’s time to do the other. Repeat until pained. Another classic for how to build chest muscles fast without weights: the diamond press. This is another exercise that requires another visit to what experts refer to as the ‘pec-training equivalent of doggy’: the push up position. While in this position, we’re going to try something new. Where are your hands? Well they shouldn’t be there. Move them. This time we want the index fingers on each hand to touch, same with the thumbs – if you haven’t worked it out you should be making a diamond shape with your fingers. As usual your body should be in a straight line and your hands should meet just under your chest. And keep those elbows in for God’s sake. 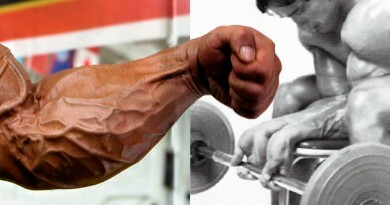 Hold each rep for two seconds if you want maximum effects. Have you ever been texted this face :/ ? It’s a vague emotion, expressed even more vaguely through two symbols that should only meet in an URL. Who the hell does that sidewinder smiler think he is? Until this day he’s been nothing but a waste of digital space. However, I do believe I’ve found the perfect use for that attention-whore seeking emoticon: as a charming introduction to intricate nature of staggered push ups. As before, you need to re-enter the glorious position of ‘Pec-Doggy’ but this time we want our hands in totally different places. Like the mouth on that ridiculously disappointed smiley face, both arms should be diagonally across from one another. What do I mean by this? Simple, plant one arm on the ground slightly below the shoulder, with the other one slightly above. Now push. After each set ensure you change arm positions to for a full coverage on each side of the chest. For activating a mass of muscle fibers, look no further than this exercise. It’s a great exercise to build chest muscles fast without using weights. Start in a regular push up position, you know it only too well by now. 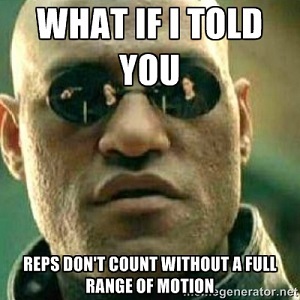 Next you’re going to go down as you would with a normal rep.
Is your chest nearly touching the ground? Hold that position. 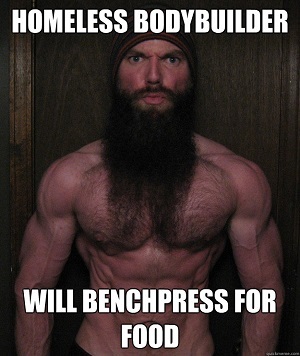 Because what happens next is really going to punish your pecs. Kick one of your legs out with the aim of having it coming out at a 90 degree angle. Don’t bend your leg. Once it’s out there pause, enjoy the pain, bring the leg back and finish the push up. Repeat with the other leg. Last but by no means least we need to consider to the triangle push up. Calling upon the supporting muscles of the chest a bit more the triangle push up is a great exercise to develop overall chest strength. Start in the traditional push up position. Perform a normal push up. What’s the catch? Is there a catch? Surely there’s a catch. There’s a catch. With each rep, instead of lowering your body to the center of your hands, aim for your left on one rep, and your right for the other. This puts a lot more pressure on one arm that it does on the other, and really packs on the mass around that area in a far quicker fashion. main goal is to get better. Start in the standard push up position and drop your knees, keep working at that ground until it gives you muscle-fied gold! After you’ve achieved that, the next step is to push yourself to do each of these exercises for 5 sets of 15. These exercises are designed to set your chest on fire, it may be wise to perform a few of them each workout and cycle them throughout pec sessions. If you’re at a point where you can no longer afford a gym, or couldn’t catch up to the price of one in the first place, we strongly suggest our article about Good, Cheap Bulking Foods. 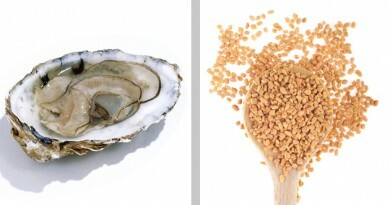 You can read all about that nutritional news here. Admittedly, the main weightless exercises you can for chest without the use of any equipment whatsoever are largely push-up related. That does not extinguish the benefits that are associated with such exercises. If you situation has brought you to the brink of never seeing a bench press again, take heed from these teachings, and we’ll be able to PRESS on together.